Moving your home or business to a new location can be a challenge, whether the move is a local, one-person move across the street or a complex, international corporate relocation. Moving logistics, tight moving timelines, limited finances, and other considerations can lead to a stressful situation and a chaotic, disorderly moving experience. While professional moving services can provide the relief you need to enjoy a smooth and successful relocation experience, it’s also important to be sure that you understand the costs involved with the moving company you hire. A little research will reveal that Chicago moving company prices fluctuate wildly from enterprise to enterprise, and that the company with the lowest prices (or the highest ones, for that matter) just might not be worth it when it comes to value. For anyone considering hiring professional movers, asking for a moving estimate of a company’s relocation services is undeniably important.A moving estimate will help you to compare costs and choose the best price for your budget. However, moving estimates can be a bit complicated to understand, especially for first-time movers. In this article, Pickens Kane, a trusted Chicago moving company will share with you everything that you need to know about getting an accurate estimate from professional movers. When you request and book to obtain an estimate from a reputable relocation services provider like Pickens Kane, a moving agent will visit your home to take a look at all your belongings that you need to bring with you. The professional will compute an estimated weight, and ask about the services that you need such as packing or storage. A price will be then be quoted based on the weight of the items, the services you require, and the distance of your move. It is always recommended to ask for an in-home estimate because this allows the professional movers to plan how the whole process will go. The layout of your home, the length of your driveway, and valuable, extra-heavy, or other special items will be taken into consideration.Avoid hiring moving companies that do not provide in-home estimates, or that offer flat rates in place of detailed and personalized estimates. These flat rates are likely to come with additional hidden fees and extras, which are only revealed to the customer once the moving project is completed. In addition, these companies are not usually well-rated or even licensed, and a lack of a serious contract can mean serious problems down the line if your belongings are lost, damaged, or simply stolen. These are the three basic types of moving estimates—a firm-binding estimate, a non-binding estimate, and an options-binding estimate.In a firm-binding estimate, the moving agent evaluates the customer’s moving project and gives an exact estimate of the cost based on his or her expert opinion. In this type of agreement, both parties agree on the total cost of the move beforehand, and a precise contract is written and signed locking down the price of the relocation. This type of agreement protects you from unexpected additional expenses, and can help you to protect your budget by deciding on what services you need and can afford. A non-binding estimate is a ball-park style estimate, usually under the guise of a low, flat rate. The non-binding estimate is a rough estimate of the total cost of the move, based on an educated guess regarding the weight of your items. The problem with this type of estimate is that the rates could jump up much higher than expected once your items are actually weighed and transferred on the day of the move. At the same time, you could actually pay less than expected, though this is usually not the case.In an options-binding estimate, which is similar to the firm-binding estimate, the customer agrees to pay no more than what is agreed upon in the estimate. 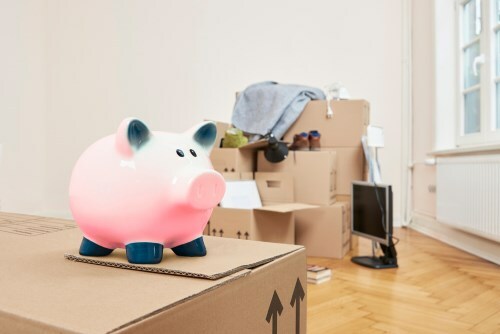 Additionally, the customer could also end up paying less on moving day if their belongings weigh less than the estimate.While firm-binding and options-binding contracts are usually preferred over non-binding agreements, all contracts have their potential benefits and downsides. In any case, compare companies that offer a comprehensive consultation and free, in-home, no-obligation estimate, and choose the one that best meets your requirements. Any moving company will strongly recommend others to compare costs and receive moving estimates weeks or months in advance.This allows you to choose the suitable moving company before you have your move scheduled. In order to make sure that you will be able to book your move on the company of your choice, schedule the in-home estimate at least six weeks prior to the target move date. This should allow you to come to an agreement with a moving company about a month before your moving day, and avoid potential booking problems (and higher, last-minute rates). Prepare for a moving estimate by making sure of the exact date and location, the belongings that you will take with you especially the valuable ones, and the moving services you require. Before striking a deal, carefully look through the fees included in the estimate. Take note that some relocation service providers charge additional costs for special considerations such as if you own a lot of valuable items that require special treatment or if you live on the topmost floor of the building. It is important to keep in mind that you shouldn’t just hire the company with the lowest quote, but also consider the quality of the service, customer feedback, and inclusion of the package. 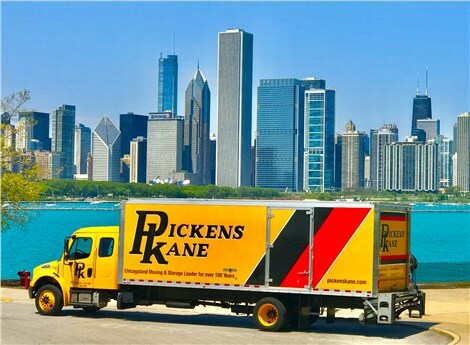 If you are looking for a reliable Chicago moving company, Pickens Kane is ready to satisfy your relocation needs. With decades of experience in the moving industry and state-of-the-art moving equipment, tools, and tracking systems, our team is prepared to handle your move with efficiency, reliability, and the professionalism you can trust. Call us today to learn more about our services or fill out this online form to get an accurate in-home moving estimate for free.